This bamboo curtain is handmade in Vietnam and consists of 120 strings and is hand-painted on both sides. 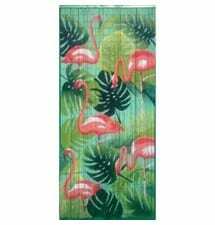 Flamingos are painted on the curtain. It is a delicate product!